RoadWatch SS is the result of a continual improvement effort designed to incorporate significant changes to enhance the performance of our product. The changes you’ll find described below are the result of extensive product testing, research and feedback from users. We firmly believe that the end result of these efforts is a safety system that is simply the best in the industry. Your input is invaluable and most appreciated as we proudly offer you an even safer driving solution. Outside your truck a harsh environment is waiting. 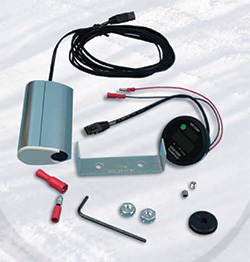 Sensor heads can be damaged and the last thing you need is extensive repair time. Now, in five minutes, the sensor head can be replaced outside the vehicle without re-routing the cable. We know that the sooner you’re aware of potential danger the better. 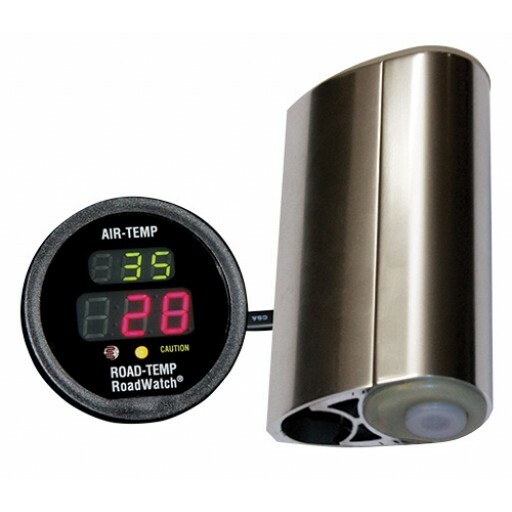 RoadWatch SS responds much more quickly to temperature changes than our previous version. Now you can extend out to beyond the standard cabling length with extensions of 4, 12 and 16 feet and take the overall length to 60 usable feet. RoadWatch SS features the most technologically advanced early warning system of road and air temperatures in the industry. Our new state-of-the-art system continuously monitors and displays air and road temperatures to a digital monitor mounted on the instrument panel. 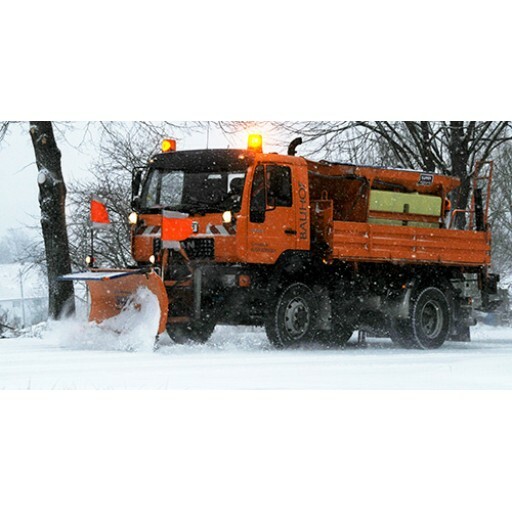 RoadWatch SS is designed to give drivers advance notice of potential road freezing before a problem arises. In addition to an improved sensor, the new RoadWatch SS is easier to install or replace than our previous version. Your most important assets are your people... they deserve the best protection available... they deserve RoadWatch SS.